Well folks, the day has finally arrived! It's been over a year since we released the unofficial trailer for Something In The Woods. 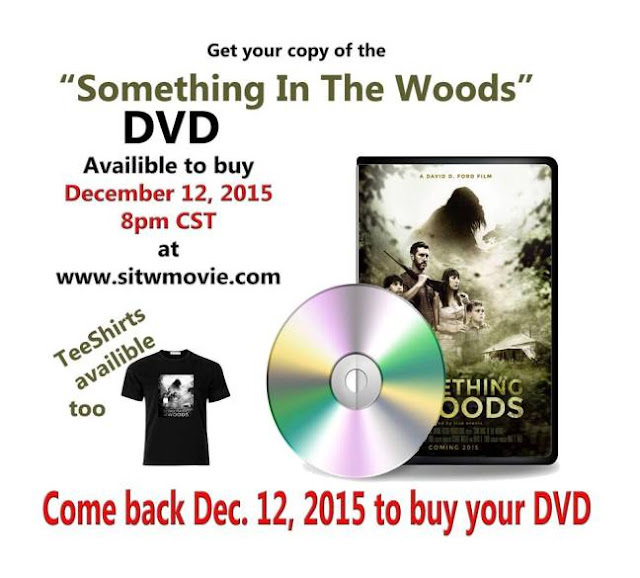 Now is your chance to get the film on DVD and Blue Ray. The movie is a thriller based in the late 1960's, where a family faces frightening events as a creature comes around their home. Sweet!. Yeah, I'm a sucker for any type of Bigfoot movie. Looks decent, I will check it out. So that shown ending part looks super intense. I say that while I must leave my parents property in a few hours. Just today on my Walk around the property there were some bent over trees. Sasquatch is near this house in the sticks. Gee the old head on a swivel routine as I pack up the car this early Monday a.m. Why do I do these things to myself? Right on. I just watched it. They use some cool filming techniques.